I had to reset my iPhone to handle an iOS issue I was facing, and restored it as a new iPhone. Now, I am wondering whether there is a way I can access my old SMS from a backup I had created. Any help with importing SMS to iPhone would be highly appreciated. It is always important to back up your SMS to save memories shared via text for future reference. Nevertheless, this SMS backup cannot be of help to you if you have no idea how to import it to your device. If you would like to import SMS to an iPhone, including the latest iPhone Xs/Xr/Xs Max, then this article shows you how to do exactly that. How to Import SMS to iPhone from iTunes Backup? How to Import SMS to iPhone from iCloud Backup? 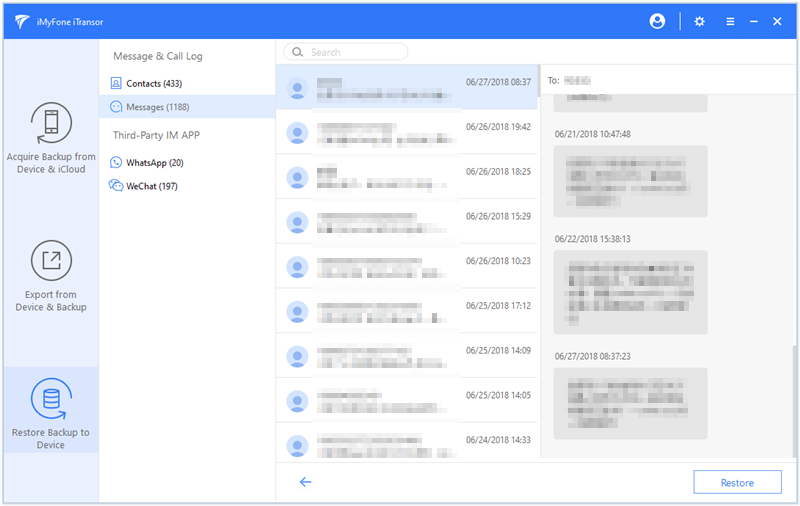 How to Import SMS from iPhone to iPhone? How to Export SMS from iPhone to Computer? Since SMS are only one type of data on your iPhone, you cannot be able to transfer them only using Apple's services like iCloud and iTunes. These two applications require that you back up and then import all data on your device, to import SMS. This process is quite troublesome because it requires you to back up some files that you necessarily do not need. 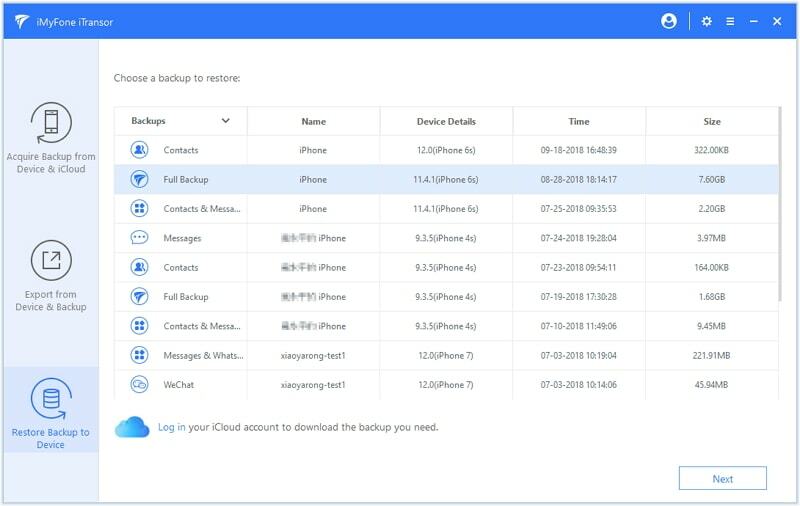 Selectively back up and restore data on iPhone, including SMS messages, WhatsApp, contacts, WeChat. 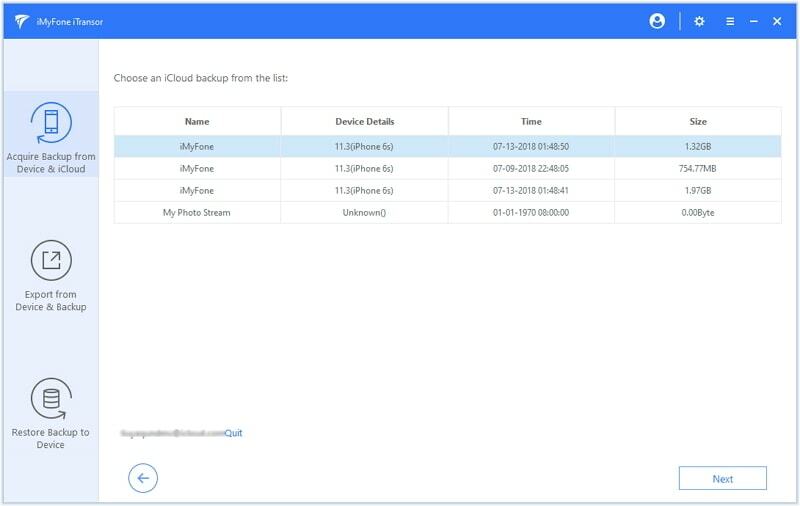 View and export over 18 types of data of iTunes or iCloud backups. 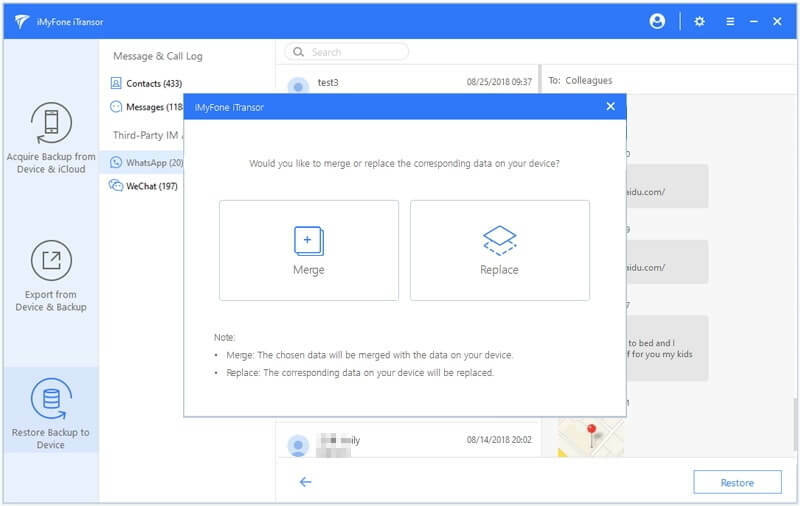 Merge data in device and backup, for example, you can combine the SMS data in backup with the new SMS data on device. Compatible with all iOS devices and versions, including the latest iPhone Xs/Xr/Xs Max running iOS 12. Step 1. 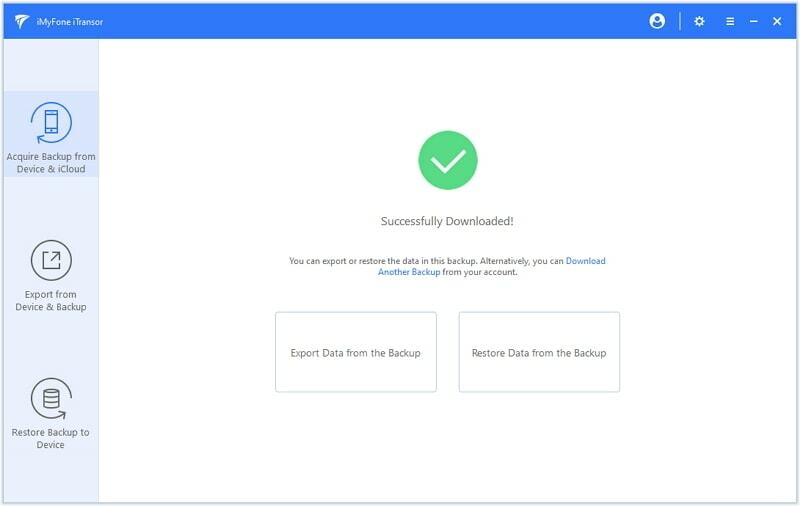 Launch iMyFone iTransor on your computer after downloading it and choose Restore Backup to Device. Select the backup you want to import from, click Next and then Restore Partial Backup. Step 2. On the screen that appears, select Messages as what you would like to restore. By this time, ensure that your iPhone is properly connected to your personal computer. Step 3. To proceed, you will need to choose either Directly Restore or Preview & Restore, if you would like to preview the SMS before restoring them. Step 4. A pop up will appear, asking you to select Merge or Replace. Select your preferred option and the program will start restoring your SMS on your iPhone. Step 5. 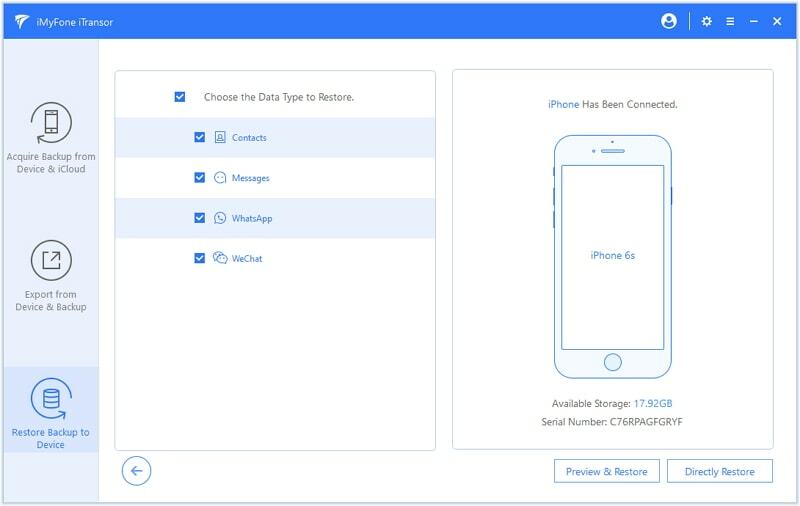 After the process is finished, your SMS data will be imported to your iPhone and you can view and use them. Step 1. 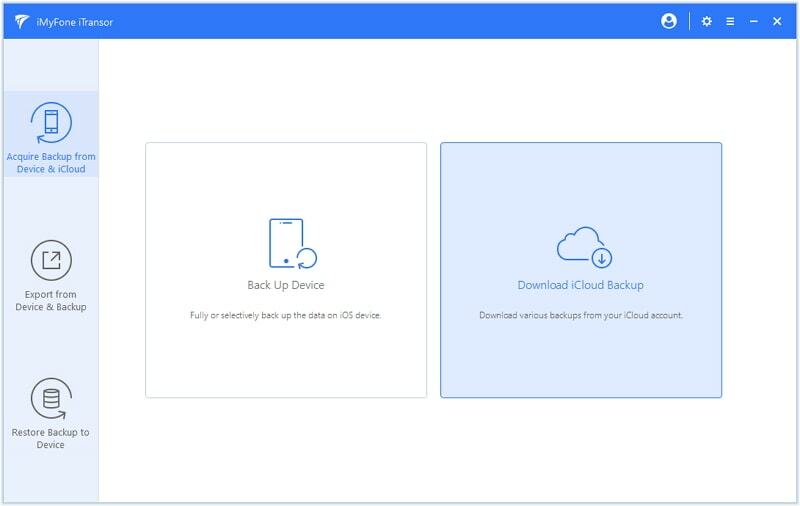 With iTransor, you can be able to download iCloud by going to Acquire Backup from Device & iCloud, and then Download iCloud Backup. Step 2. 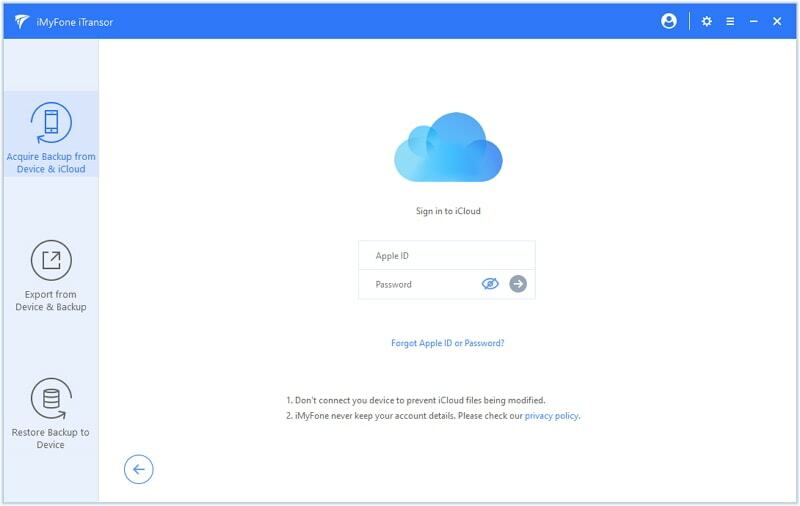 Sign in to your iCloud account. You can sign in even if you have enabled Two-Factor Authentication for your account. Step 3. When logged in, you should have access to all files you had backed up using iCloud. Select your preferred backup file and click Next to proceed. Step 4. When the download is complete, you can export or restore SMS using the backup. Click Restore Data from the Backup. 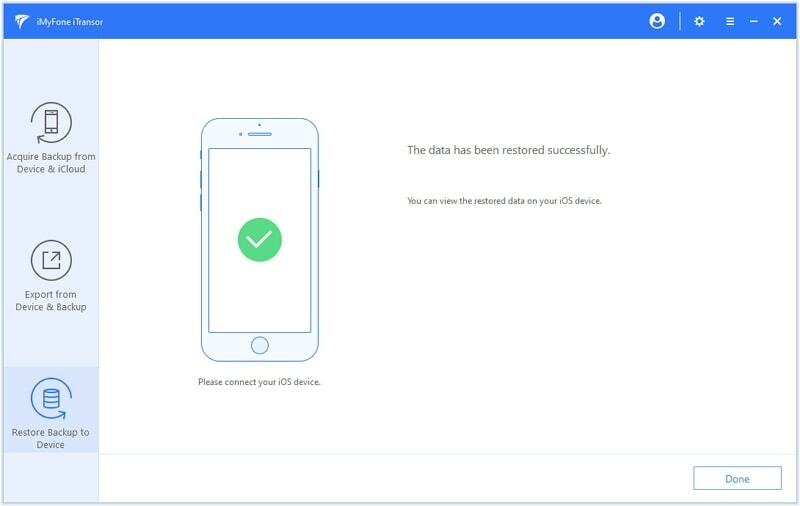 The following steps are same with restoring from iTunes backup and after the process is finished the SMS stored in iCloud will be imported to iPhone. 3. How to Import SMS from iPhone to iPhone? 4. How to Export SMS from iPhone to Computer? SMS have become very popular nowadays, as people prefer sending messages rather than calling or sending emails. Therefore, SMS play a critical role in most people's lives. If you would like to import your SMS to an iPhone, the aforementioned tips will be of great benefit to you, no matter you use old models or iPhone Xs/Xr/Xs Max.